Batsugun was Toaplan’s final shooter before they went bankrupt and it started a wave of manic shooters, popularised later by Cave. 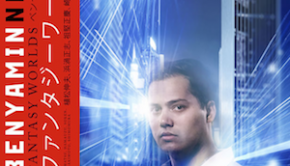 Composed by Yoshitatsu Sakai in 1993, the soundtrack features a variety of stage and boss themes, all with varying success rates. “Heart Beat” is an upbeat and cheerful chiptune, particularly in the A section, before it progresses into a slightly darker tone in the B section. Both sections feature some very memorable melodies and the rhythm helps give off a slight industrial, yet poppy feel overall. The corresponding boss theme, “Dark Echo,” features a dark atmosphere with some slick rhythms and accompaniments. It definitely portrays a sense of menace, although at times, there are some melodic sections that give off a sense of hope. The second stage theme, “Skim the Surface of the Sea,” although upbeat, still manages to give off that aquatic vibe, in part. It has a great rock vibe overall, with the percussion lending itself quite well in providing a motivating force for the track. The melody itself is successful and reminds me in many ways of some of the lighter soundscapes present on the Mega Man 7 soundtrack. 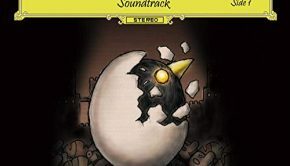 The stage 2 boss theme, “King Bird,” features a very menacing, industrial soundspace with its fast past tempo and slick bass grooves and percussion. The melody line, when present, gives off a very futuristic and heroic sound. 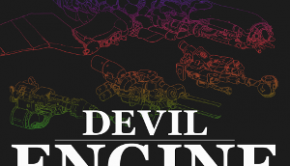 The third stage theme, “Bomber Dance,” is an intense chiptune focusing on industrial and rock tones, particularly in the various synthesizer accompaniments and bass line rhythms. The melody itself has a very progressive rock tone with plenty of keyboard passages. For the third boss, “Psycho Paranoia” fails to really capture any attention. The rhythms are nice and contrast nicely with melody line, but neither really do much, given its short length. The fourth stage theme, “Complimentary Ticket,” is an upbeat theme that gives off a sense of flying with its airy and wispy melody. It’s fairly catchy, although the short B section really manages to grab the most attention with its energetic tone. 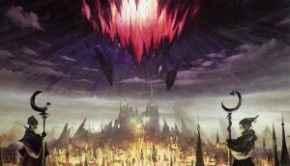 The fourth boss theme, “Premonition,” offers a sinister tone overall, thanks to the menacing bass line; however, the melody line, featuring bell tone sounding synths, makes for a strange combination that doesn’t always work, in my opinion. Lastly, “Geo Frontia” offers a very somber tone compared to the rest of the stage themes. It’s a nice contrast though, as it definitely gives off a sense of uncertainty of the future. At the same time, the heroic flourishes are quite pleasant. It’s definitely one of the more successful tunes on the soundtrack as it develops well. The final boss theme, “Final Attack” offers a surprisingly heroic and cheerful tone, given it’s the final boss theme. However, I do like the progressive rock nature of the track and despite its short length, manages to be quite entertaining and fulfilling. 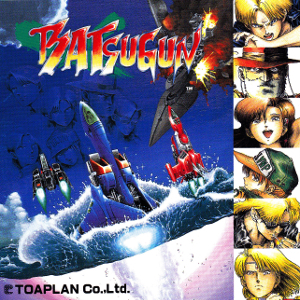 Batsugun is one of the highlights of Toaplan’s shooting legacy and its soundtrack was part of its charm. While the soundtrack is a little short and inconsistent, fans of classic shooter soundtracks should track it down, either through this release or the Toaplan Shooting Chronicle.